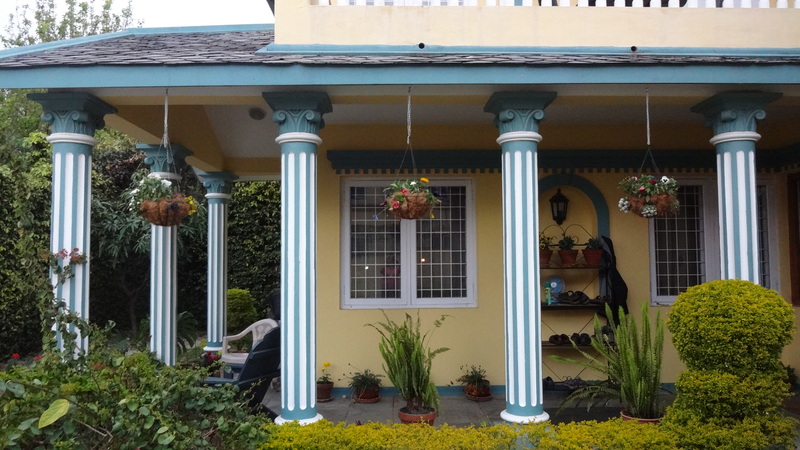 After living in a high rise apartment for almost three years, we were thrilled to get a house with a garden here in Kathmandu. The weather is warming up and the time has come to get outside and enjoy a little gardening. 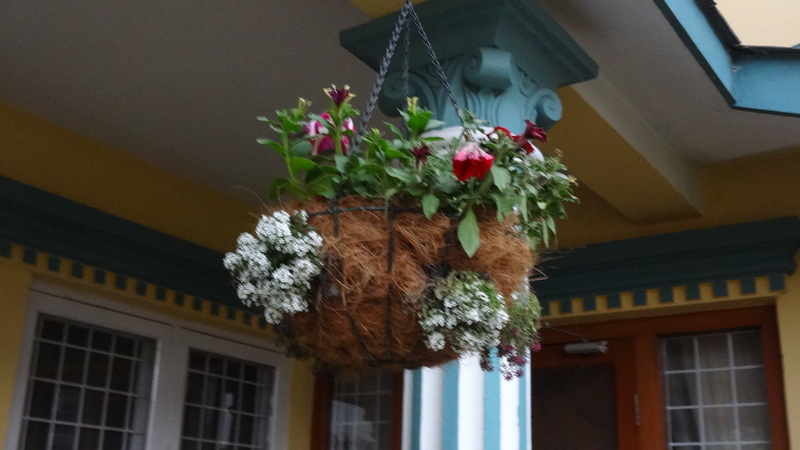 Our wire hanging baskets floated uselessly around the Manila apartment, but here they were ready for Spring! 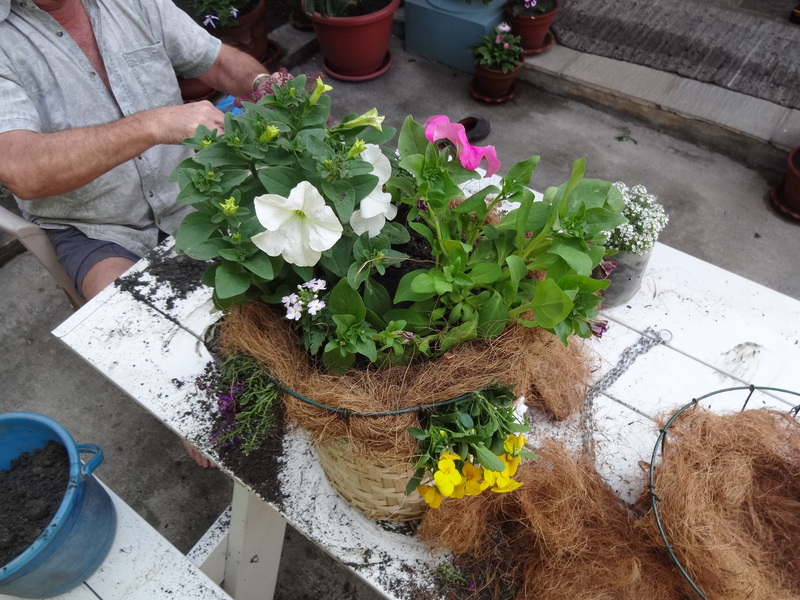 There’s no gardening centre here, so we needed to find all the components independently: chains for hanging, compost, seedlings and something to line the baskets. 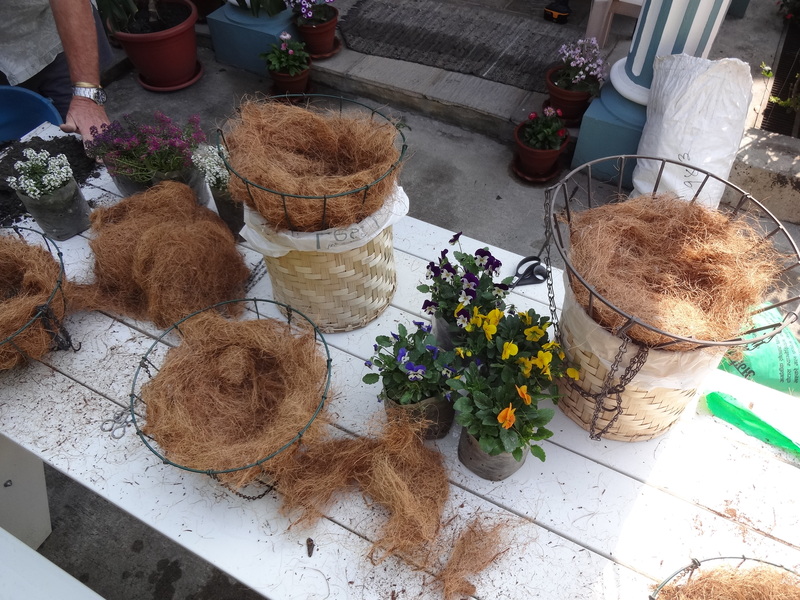 For the last part we decided to use jute, the hair from the outside of coconuts which a local store sold by the kilo. A lot of basket liners in places like Home Depot sell liners made from jute, but they are already pressed and pre-shaped. I would have to start from scratch. 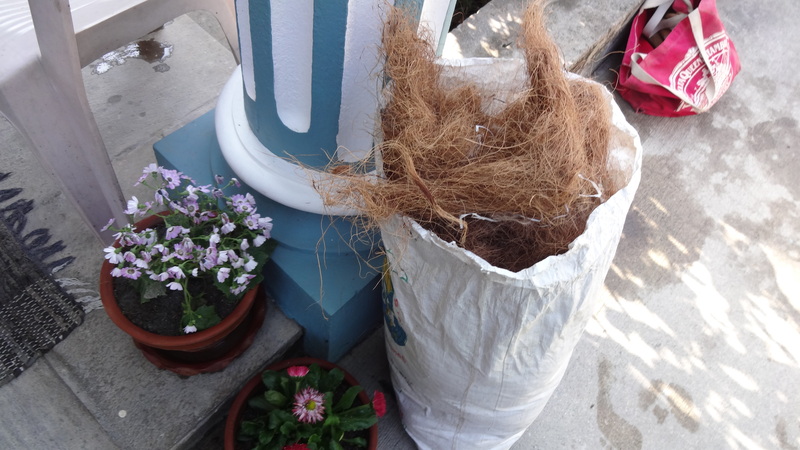 A sack of jute, or coconut hair. 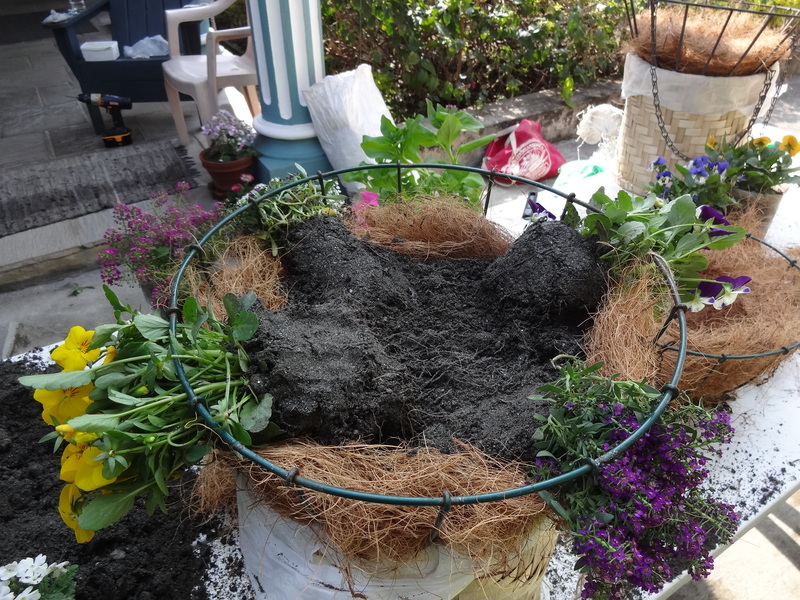 Then the nest are filled in with compost and the side plants are laid down along the edges. 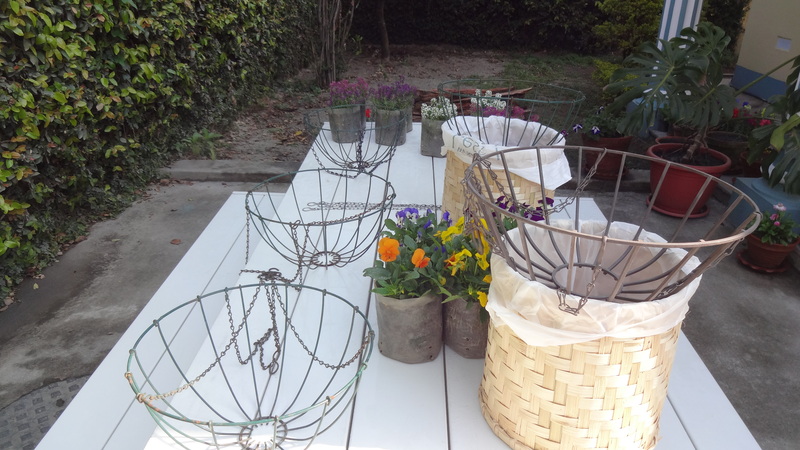 We used miniature pansies and allysium so they would make wonderful trailing bases for the baskets. Next continue building up a wall of jute and fill the basket to the top with dirt. Plant. Looking good! The finished basket. Now to watch them grow…..
You gave me a great idea! 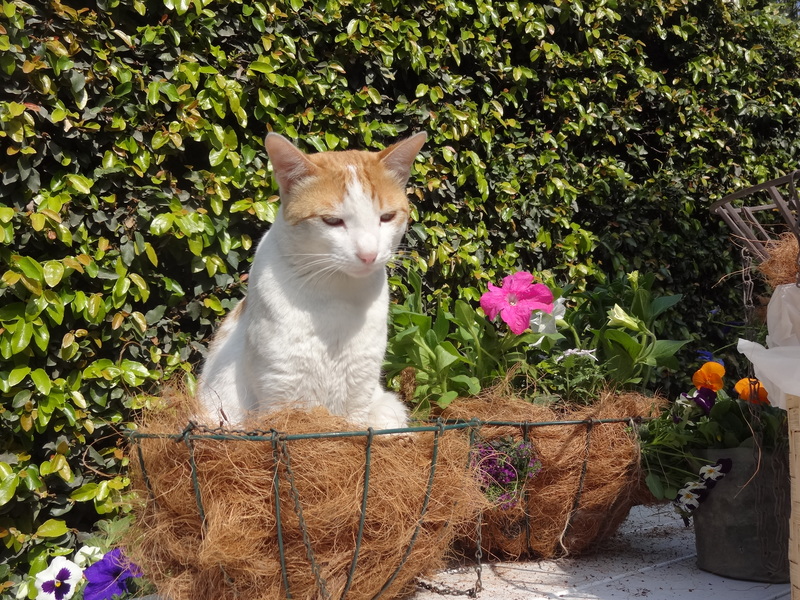 In Brazil, we used to plant ferns in pots made ​​of ‘xaxim’ (pronounce [shashin]), which is the trunk of wild ferns. As these ferns are at risk of extinction, this type of pot was banned and replaced by molded vessels of coconut fiber that are not as sturdy or stay wet. Next time I will try the jute fiber, which seems to me to be the leaves and branches of a different plant and not the coconut. Hi Luiz. Glad to have given you an idea! Jute here is definitely from coconut, but I am sure there are other similar fibers that would do the same trick. The one thing I wished I had done differently would be to try soaking some jute in water first. I didn’t do this before I moulded it and I’m wondering if I had, maybe the jute would have packed tighter. Its fine as it is though. Pots are working well.